Fake Science is a brilliant photo blog which posts a mock "greeting card" style picture relative to the world of science. It is pure genius! 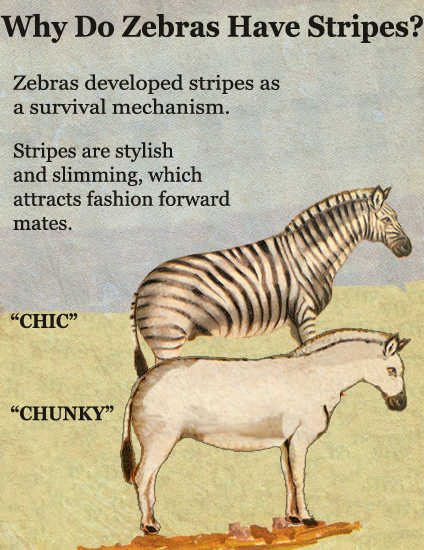 They are back with a gem - on why zebras really developed their stripes. Click here to see more of Fake Science!